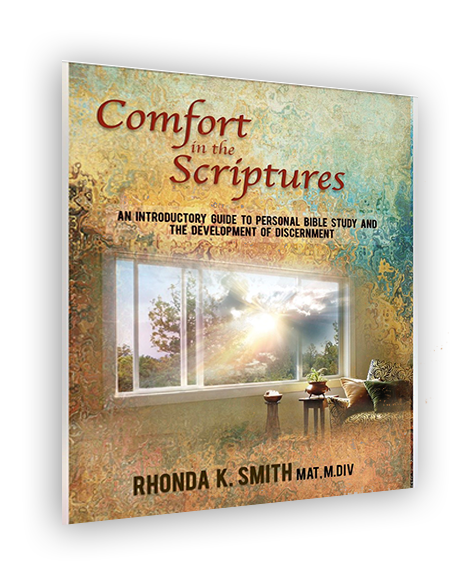 Book | Comfort in the Scriptures | Speak Up! COMFORT in the SCRIPTURES: An Introductory Guide to Personal Bible Study and the Development of Discernment is an excellent resource for the unchurched, new Christian converts, teenagers, millennials/young adults and anyone wanting to take their study of the Bible to another level. The title is based on Romans 15:4, “For whatsoever things were written before were written for our learning, that we through the patience and comfort of the Scriptures might have hope.” The book encourages readers to follow the instruction given in 2 Timothy 2:15, “Study to present yourself approved to God, a worker who does not need to be ashamed, rightly dividing the word of truth,” without hesitation or reservations. Purchase the book online by clicking the “Buy Now” button below, or Download The Ebook by clicking the “Amazon Button” below. To order the book via postal mail please click on the “Printable Order” button below. Print and fill out the form and send to the address listed below. Make checks or money orders payable to Speak Up!